Due to inactivity, your online session with OxiClean will expire in 60 seconds. You're here because you're an influencer among OxiClean customers. People trust your opinion when they're making purchase decisions and value your honesty. 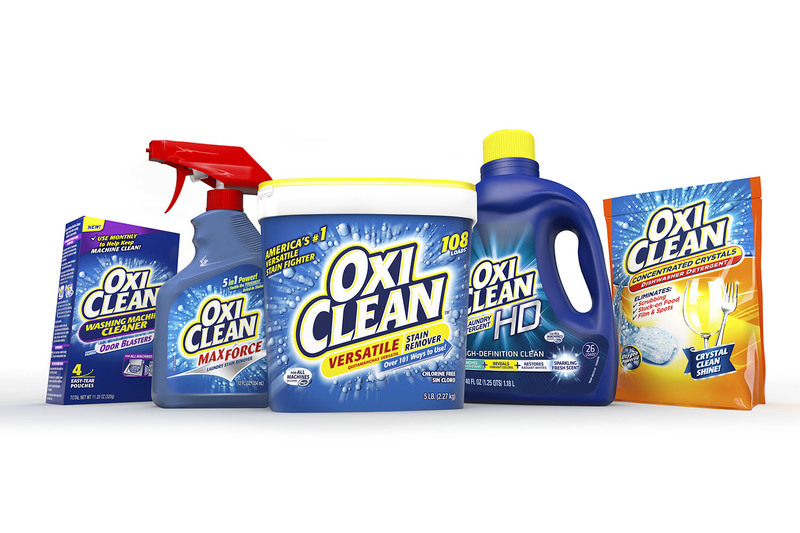 OxiClean team would like to get some of our newest products in your hands in exchange for your honest reviews. As an OxiClean fan, you'll be able to select products to try and assess. Yes, you get to keep the products and yes, they are very exciting items! You should know that some of these products are not yet available on the market, and your opinion may be among the first collected. For products not yet available on oxiclean.com, we'll save your reviews and post them once the product is offered on our website. OxiClean does not influence the opinions of the OxiClean Fan Community, nor do we modify or edit their reviews. A review collected through this program will be labeled as such on oxiclean.com. We value customer feedback about products, and so do other customers. The OxiClean Fan Community is comprised of our most trusted advocates to provide honest and unbiased feedback on new or currently sold products on oxiclean.com. Membership is granted to OxiClean Fan Community on an invite-only basis. We are seeking customers who enjoy sharing their truthful opinions and sentiments about products they use. As a member, do I have to write reviews to stay in the OxiClean Fan Community? Yes. Authentic reviews are very important in helping shoppers make a buying decision. Through this community we seek to generate more reviews. Therefore once fans are invited into the community, to maintain their status as a OxiClean Fan Community Member, they have to review at least 75% (3 out of 4) of the products they receive as free samples. Do OxicCean Fan Community members get paid for writing reviews? No. OxiClean fans are not paid to participate in the program neither are they paid to write reviews, positive or negative. There is no pressure or expectation to write positive reviews, and negative reviews do not affect membership in the community. Are reviews collected through the OxiClean Fan Community labeled differently? Yes. To ensure authenticity, any reviews gathered through this program is labeled when it is displayed on oxiclean.com.